Less swiftly but just as conclusively, the tribe also lost access to much of what the rivers and mountains provided: deer and elk, salmon, tan oak acorns, mushrooms, berries, medicinal herbs. And it lost its ability to manage the landscape through prescribed fire in order to ensure the survival of the plants and animals it needed. The Karuk's food system had been broken almost overnight, and has yet to recover. But Jennifer Sowerwine — UC Cooperative Extension specialist in the UC Berkeley College of Natural Resources — believes it still can. In direct collaboration with Karuk tribal leaders and community members, as well as with the nearby Yurok and Klamath Tribes, Sowerwine has helped put millions of dollars from USDA to work restoring food security — defined as access to sufficient, healthy, and culturally appropriate foods — among those from whom it was once taken. While this is a challenge to which one could easily dedicate a career, Sowerwine's broader mission to support equitable food systems across the state has also led her to other projects and other communities. In the Central Valley, she has spent years working with Southeast Asian farmers. Closer to home, she recently began studying how community farms and gardens improve food security among at-risk populations in the urban East Bay. Sowerwine's body of work is a manifestation of the University of California Cooperative Extension's long-standing mandate to aid the “welfare, development, and protection of California agriculture, natural resources, and people.” CNR is the home of Cooperative Extension at UC Berkeley, which — now celebrating 150 years since its founding as a land-grant university — is intended to benefit all residents of our increasingly populous and diverse state. That includes California's first residents: Native tribes like the Karuk, the Yurok (located along the lower stretch of the Klamath River), and the Klamath (upriver, across the border in Oregon). All three were traditionally non-agrarian, hunter-gatherer communities. Loss of ancestral lands that had sustained them for millennia affected not only their diet — leading to a reliance on institutional and heavily processed foods that have contributed to persistent health problems —but also their culture. In working with the tribes, Sowerwine first had to listen. “One of the main philosophical approaches in my work is to collaborate with the community to identify what the problems are, co-create research questions, and then support, on the extension side, the kinds of programs they need to attain their goals,” she said. 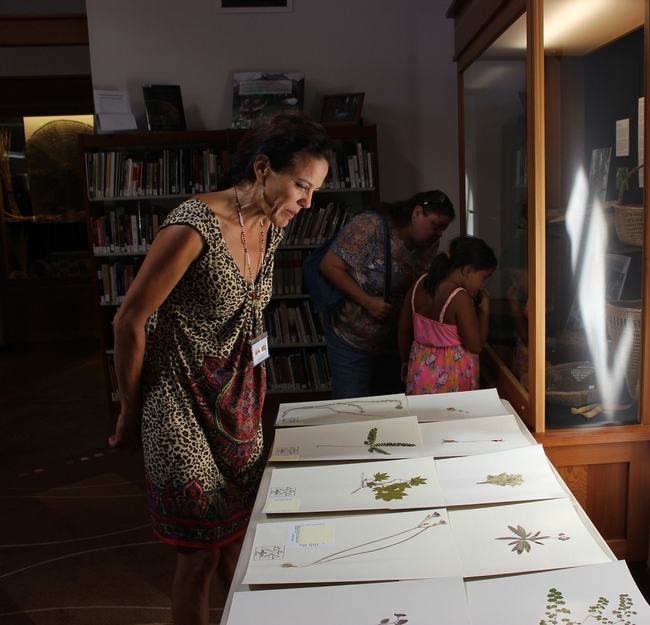 This work now serves as a model for tribes across the country. “There's a lot of interest in all of our programs,” says Karuk tribal member and Pikyav Field Institute program manager Lisa Hillman. In particular, the tribe created a digital library to offer easy access to information about traditional foods and ecological knowledge, which has attracted significant acclaim and earned Hillman invitations to discuss it at national conferences. “Working with [Jennifer] opened a whole lot of doors for our tribe,” Hillman says. The project's success also led to a second, three-year USDA grant that should continue to point the way forward and help mitigate some past harms for the Karuk Tribe. Sowerwine began her career studying food security among marginalized residents of a very different part of the world, who nonetheless have much in common with her current collaborators. As a doctoral candidate in the Department of Environmental Science, Policy, and Management (ESPM) at Berkeley, she spent two years in the highlands of Vietnam learning how land-use laws and economic policies affected indigenous local farmers from the Mien minority ethnic group and their ability to sustain agrarian practices that were vital to their culture and food security. Using a proficiency with the Vietnamese language honed overseas, Sowerwine initially set out to assess the productivity and economic viability of these small farms operated by Southeast Asian refugees. “I wanted to understand the barriers they were facing in terms of farming in the Central Valley of California, which is arguably the most industrialized agricultural landscape in the world,” she said. Approximately 100 Mien farmers — part of a Sacramento-area Mien population of about 15,000 — work small plots of land, averaging about eight acres each, outside the state capital. They primarily grow strawberries to sell at roadside stands, but also produce a wide variety of traditional foods, like “sticky” corn, yu choy, gai lan, purple long beans, and bitter melon — mostly for home consumption. 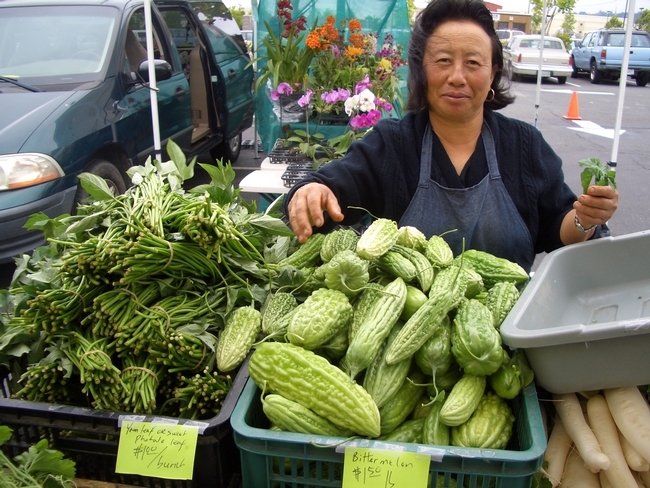 Hmong farmers, who are concentrated in Fresno and Sacramento counties, grow conventional vegetables like cherry tomatoes, green beans, onions, and lettuce — in addition to their own cultural and traditional foods — to sell at farmers markets, Asian grocery stores, and wholesale markets. The two groups' successes have not come easy, owing to such challenges as language barriers, differences between traditional and modern farming techniques, and informal labor practices that often clash with state regulations. In response, Sowerwine designed and led an array of interventions to support the farms' continued viability. These included offering hands-on, native-language training to help Hmong and Mien farmers comply with complex labor and food-safety regulations; teaching farmers how to achieve organic certification or to make and sell “value-added” foods like jams; and providing assistance in accessing new markets for fresh produce, including schools, farmers markets, and wholesalers. Throughout her career, Sowerwine has worked closely with UC Cooperative Extension advisors around the state, including Richard Molinar — a now-retired small farms and specialty crops advisor in Fresno County — and his successor, Ruth Dahlquist-Willard. “We accomplished a lot, and we helped hundreds, if not thousands,” Molinar said. Protecting farmers' livelihoods is only the start, Sowerwine notes. Positive outcomes ripple out to the broader immigrant community, which sees strengthened food security through a steady supply of affordable, culturally appropriate produce, and to the entire regional economy and food system, which benefit from a robust and diverse network of local food producers. Yet as Sowerwine's work in the East Bay has shown, small-scale agriculture can also be critical to the health and well-being of urban residents — especially recent immigrants. In 2016, she and a team of 12 undergraduate research assistants surveyed more than 100 community, school, and for-profit farms and gardens between Hayward and Richmond. A dozen of the community gardens were included in a subsequent pilot study to learn more about how urban farms can provide immigrants with reliable access to affordable traditional foods. Late last year, in collaboration with the Berkeley Food Institute, Sowerwine received a grant from the national nonprofit Foundation for Food and Agriculture Research to further promote and study Bay Area urban farming. 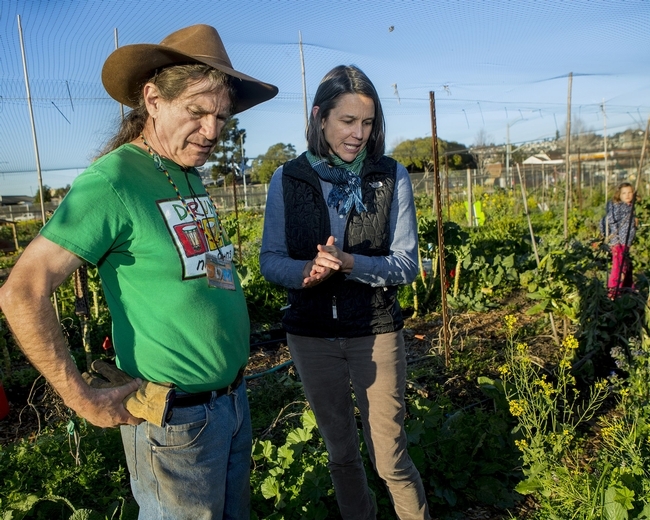 Along with ESPM faculty members Timothy Bowles and Céline Pallud, as well as Charisma Acey from the College of Environmental Design, she'll delve even deeper into urban agriculture across the Bay Area. As with all of Sowerwine's work, from the Oregon border to the East Bay, the goal is not simply to learn more, but to make a difference.